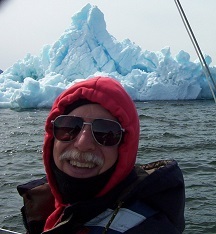 Charlie Simon, is a popular and accomplished speaker and author with a degree in Electrical Engineering, a Masters in Computer Science and a USCG Captain's License. Charlie and his wife, Cathy spent 14 months, visited 5 continents, 16 countries, crossed three major oceans plus many Seas sailing a 26,000 mile circumnavigation. Highlights of the trip were seeing unique species on Galapagos, a visit to the rim of the active Mt. Yasur volcano in Vanuatu and a safari in South Africa. 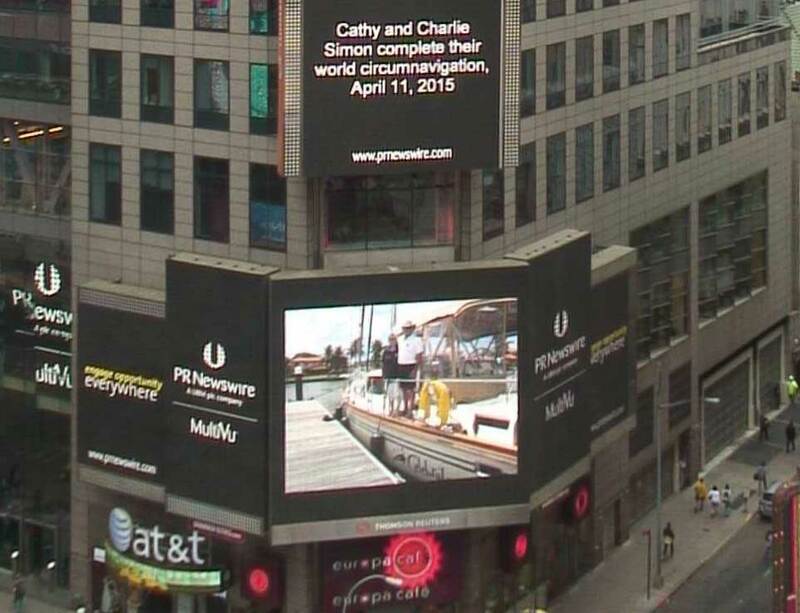 On New York's Times Square Big Screen when the circumnavigation was complete! Originally from San Francisco, California, Charlie is a lifelong sailor and sports adventurer. As well as circumnavigating, he has also sailed around the USA coast from Alaska to Nova Scotia, Canada via the Panama Canal. Memberships include: Circumnavigators' Club, Explorer's Club, US Sailing Organization, Ocean Cruising Club, Seven Seas Cruising Association, Annapolis Yacht Club, Corinthian Yacht Club of San Francisco (USA), the Vallarta Yacht Club (Mexico), the Niue Yacht Club (Niue), the Musket Cove Yacht Club (Fiji), and the Zululand Yacht Club (South Africa). Include having managed the Microsoft/NBC (MSNBC.com) Internet site total redesign, the largest news site on the web, now NBCNews.com. As an independent software developer he gained national recognition personally and for his products through write-ups by Newsweek, The Los Angeles Times, USA Today and other leading media. Considered an industry expert, Charlie was contracted by New York publisher, Van Nostrand Reinhold (now part of John Wiley & Sons) and wrote the successful book, CAD for Printed Circuits. Also, he maintains memberships in MENSA and IEEE. 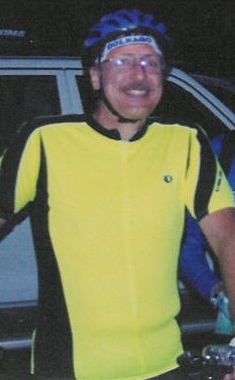 In addition to sailing, Charlie has enjoyed diving, bicycling and downhill skiing while traveling around the world. Charlie has seen the global connection of people and the power of philanthropy. Global giving has been an opportunity to promote good will among people and countries. Also, Charlie was a Microsoft Alumni Foundation Fellow Award nominee (which recognized philanthropic work). Recent philanthropy includes: Cyclone PAM Relief in Vanuatu near Fiji, South Africa's Hoedspruit Endangered Species Centre, International Junior Sailing in Banderas Bay, Mexico, and in the USA, The National Sailing Hall of Fame, The Annapolis Yacht Club Foundataion, Arts and Sciences, Public Radio and a regional Medical School.